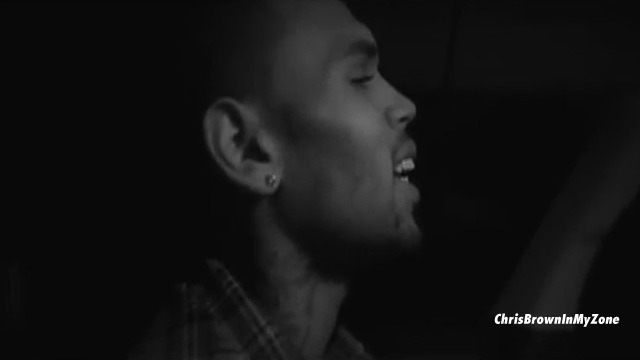 Chris Brown just released a hyper-produced propaganda break-up video ... in which he drunkenly says he loves BOTH Rihanna and his ex-GF Karrueche Tran ... and says, "I'm not trying to be a player ... I just care too much sometimes." It seems to be an artsy-fartsy way to explain his decision to kick Karrueche to the curb after being seen with Rihanna this week. In the footage, Brown tries to hammer home the point that he's wasted -- intercutting footage of himself poppin' champagne, partying in a nightclub and looking slouched over while smoking. At one point he says, "I'm a little drunk, so I'mma be honest ..."
It's unclear when the footage was shot ... but two hours before Brown posted the video, Rihanna tweeted, "Ain't nobody bidness..... But mine and my baby!" He never mentions either woman by name in the video, but there are shots of both RiRi and Karrueche spliced into the 1:27 clip. At one point he asks, "Is there such thing as loving two people? I don't know if that's possible but for me I just feel like that." So, is this Chris being honest ... or is he trying to BS his way out of looking like a jerk who was stringing Karrueche on while banging Rihanna behind her back? Chris Brown -- Flyin' Solo in L.A.